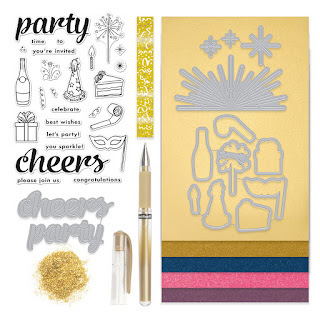 ► Two Fancy word dies - "cheers" and "party"
The kit value is $65, an amazing deal at $34.99. 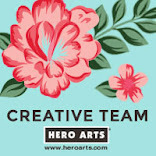 Hero Arts is giving away one kit as a prize to one blog reader - selected from the comments across all of the blogs in the hop. Giveaway closes Sunday, December 11th at 11:59pm, and the winner will be announced the following week. The kit is available for a limited time only - once it's gone, it's gone. 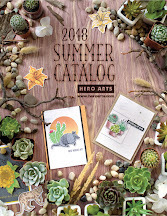 Kits begin shipping from Hero Arts on Monday, December 12th. Now lets get started! 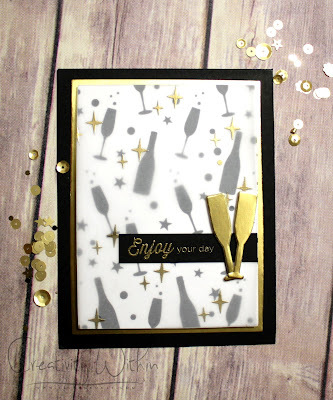 For my first card I used the Champagne stencil and some Intense Black ink pad to stencil on the white card stock, then using the rectangle infinity dies I cut my layer. To soften the look I added a layer of vellum. And to add some sparkle to it, I stamped the little star/sparkle images on it using Versamark and embossed with gold embossing folder. Then layered on some Gold Foil card stock and black card base. 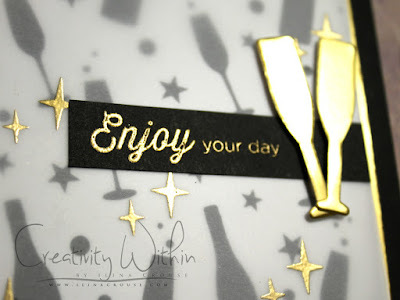 The sentiment was as well stamped on black card stock and embossed with gold embossing powder. Lastly I die cut the champagne glassed from Gold Foil card stock and adhered them to my card. Lets move to some 3-d projects. 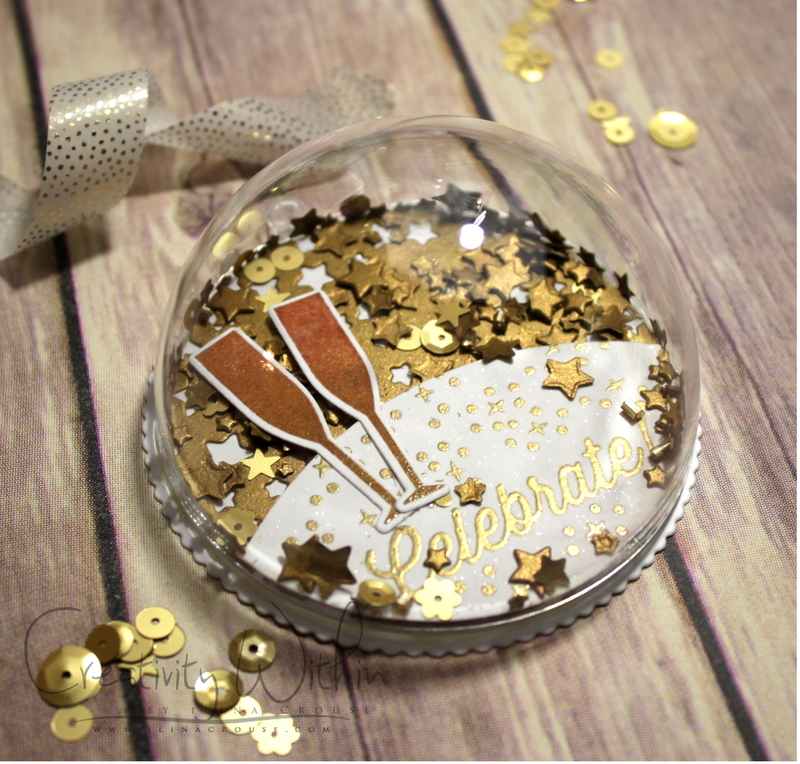 I created these gift toppers using 80mm clear plastic ornaments. And they look so fun. 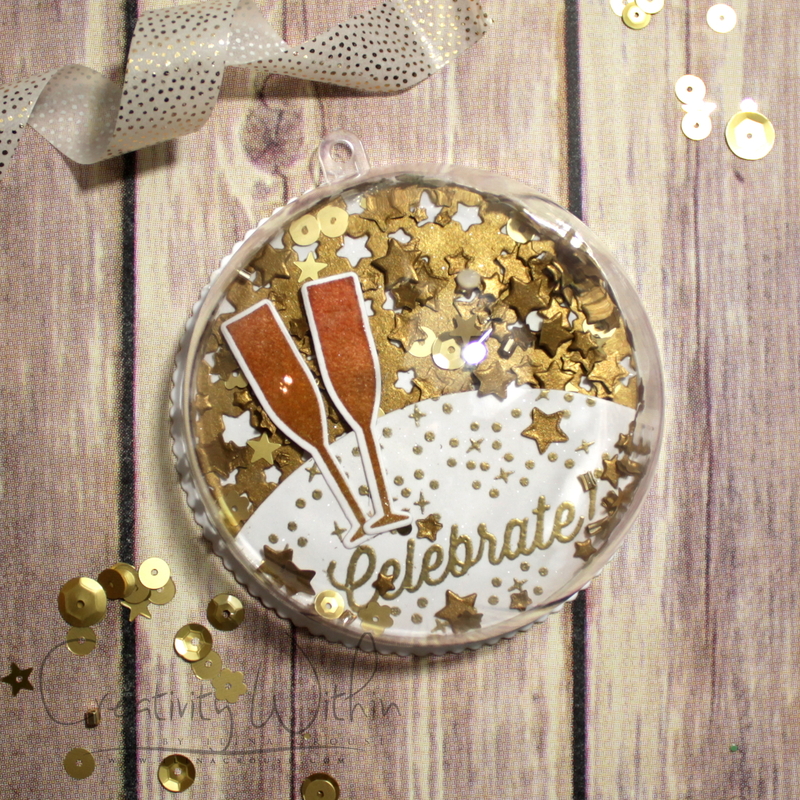 I used the October Circle and Star confetti fancy dies for the backgrounds. And using the same set I was able to achieve two different looks. Scroll down for the video tutorial. Last, but not the least, some kid friendly cards. There are 4 circle images in the set. You can just put each on separate blocks, get several ink cubes and bunch of note cards, and let your kids go to town (mine had lots of fun) and then just stamp the sentiment with black ink. 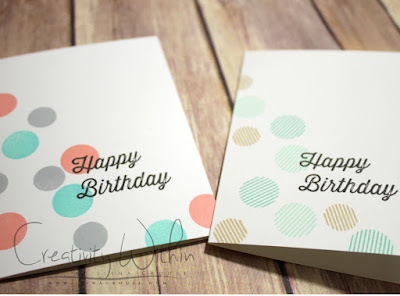 This way you will have bunch of handmade cards that your kids actually made to go to all the birthday parties they are attending. You can turn them into Christmas cards , too, if you use some Christmas colors and sentiment! Video is bellow. 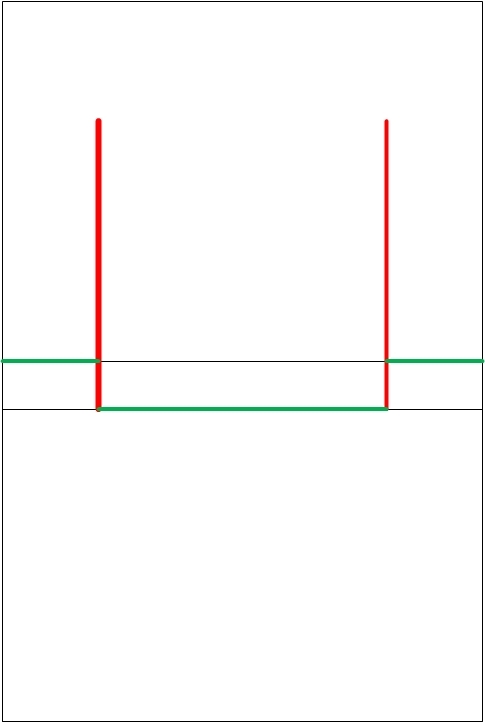 So, this is all I have for you today. Hope you are inspired by at least one of these projects. 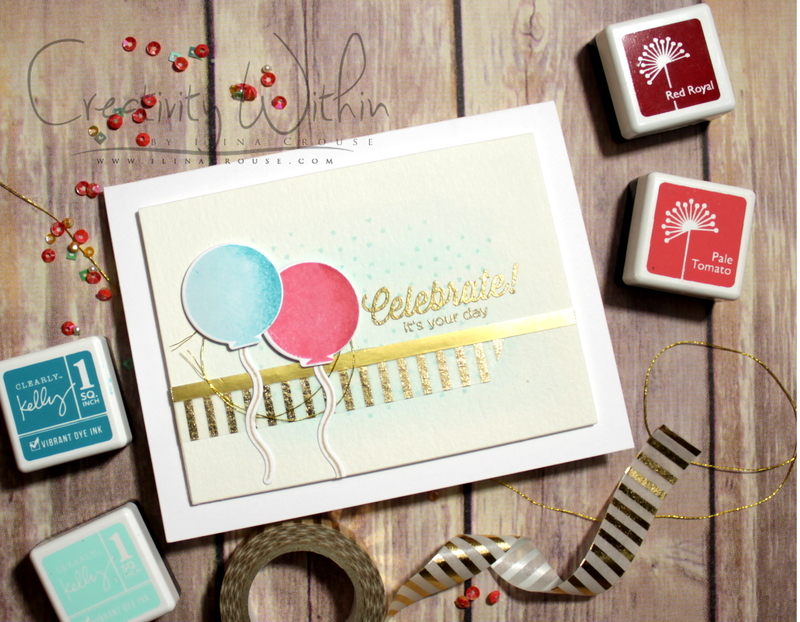 Now it's time to head on over the the Ellen Hutson blog and see the amazing stuff that Julie created. OMG!You have out done AWESOME!! 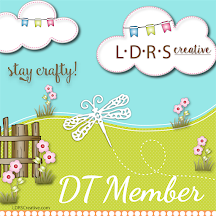 I love everything you made here!! Holy SMoke! 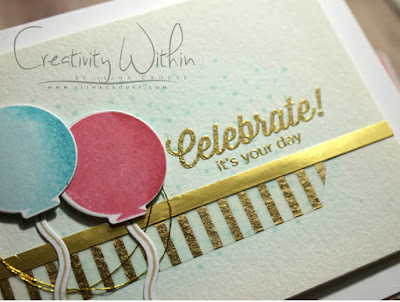 You created your own party right in your blog post! Fabulous! Wow, so many creations. 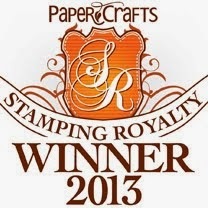 They are all awesome, but of course your gift toppers are incredible. I will definitively give them a try ! Thank your for sharing. What beautiful cards!!! Thank you for sharing your talent! So much creativity! I love everything! 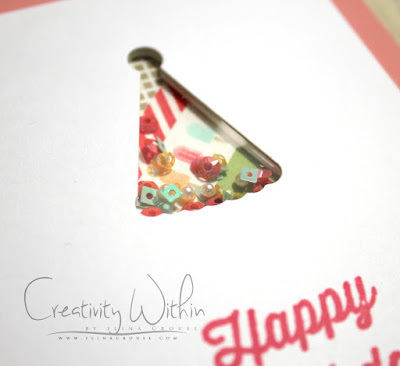 Love the ornament toppers and the simple circle cards! Thank you for all the amazing inspiration! This kit is so amazing! Your creation with these party theme are simply AWESOME! All the projects are just amazing! Talk about great inspiration! Loving the new kit and all the add-ons! Especially like the shaker style ornaments using the snap-apart 1/2 of a clear plastic ornament. I have of the ornaments & am going to give this a try. Wow, beautiful cards and other projects! Thanks for this amazing inspiration! Love this kit and the add-ons! Wow what a great collection of items. They are all outstanding and thanks for sharing. Awesomeness! So fun! Great hop and new release! God bless! You are too cute, Ilina. This is ALL you have!? You have been busy creating, and editing videos to boot!? Thank you so much for this shower of inspiration. Wow. So many ideas for this kit and all of them are wonderful but I have to say I really love the pop up card. You are very creative and I enjoyed seeing it. Thanks so much for sharing. 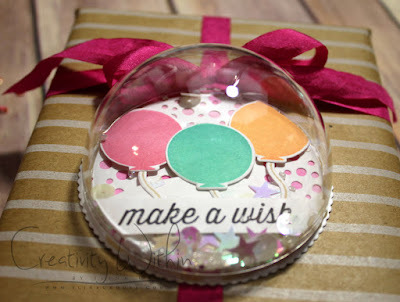 Love the gift topper idea. wow... what an amazing set of cards and projects! Thanks for the great videos.......love the shaker elements. Just love this release dedicated to New Years (and parties), very unique and awesome! That's all you have??!! That is so much creativity in just one post! Love all the cards and the present toppers! WOW! I wish that was all that I had. So many great ideas. I loved the classic beauty of the first card, taking us outside of the card with shaker ornaments and everything in-between. Thank you so much for sharing your creativity. Wow, love your ideas and projects! Thanks for the videos--I will have to go watch all of them!! Thanks for sharing on the hop. Boy, you hit every one of my 'favorites' buttons. Love pop-ups, shakers, vellum, 3D, and clean & simple cards. You've really shown how versatile this month's kit can be. Thanks for sharing such great tip & techniques - looking forward to more videos. Absolutely gorgeous! What a fun kit and add-ons! You are such an inspiration! 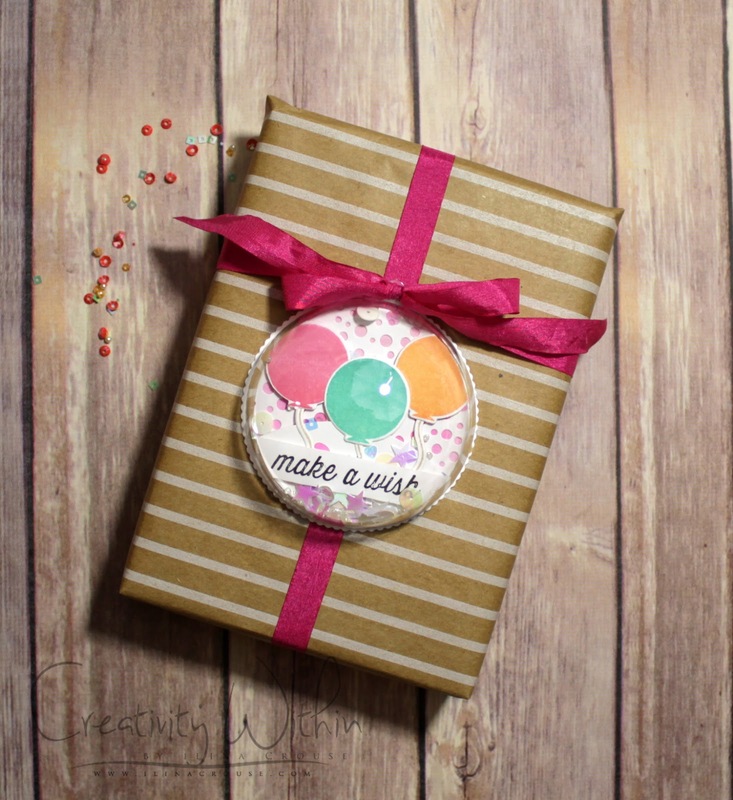 Wow, love all these gorgeous projects, especially the gift topper! So many ideas here, I think I need this kit! A NEW YEAR already? This kit has it 'goin' on'! Beautiful work!! awesome cards and ornaments! The black and gold card is my favorite! Awesome cards and love the shaker ornaments. Thank you for making the videos and sharing your ideas and techniques. Awesome creations. Thanks for the videos. Awesome projects!! 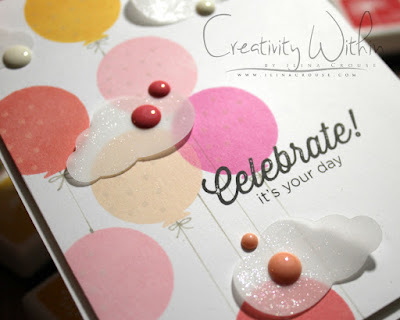 Thanks for sharing all these fun ways to use the kit!! Great inspirations! You gave us so many wonderful ideas. I especially like what you did with the drink and confetti stencil. Especially love the background on the first card. It's kind of retro. My fave! Great cards but the toppers from the ornaments are awesome! The gift toppers and cards are great. Thanks for sharing. Holy Crap!! Sorry...I was just so amazed & overwhelmed with all your fantastic creations!! I agree with you this kit is so versatile, and even if I didn't order it...the add-ons are equally fabulous!! Thanks for all that awesome inspiration!! Wow. You were busy. Great job on all the items. This is my first blog hop. Such fun! All these creative bloggers. Congratulations! These are a lot of great projects! Love the gold champagne glasses and the shaker projects. Wonderful! Love the versatility! What fun project examples. Loved all the cards and projects. Gorgeous cards - but those gift toppers!!!! What a fun idea! I am SO inspired Ilina. You have been a very busy lady! Great work! Wow! You have been a very busy gal! I love it all! Wow....so many different ideas and they are all amazing! These are all such stunning projects!!! Lovely! Fabulous inspiration - and examples of this outstanding kit. Love the ornament video but sadly the first one has no sound! I hope you can fix it because I was intrigued by your cool pop up! Wow, so much fabulousness again!! You've got some beautiful stuff going on here! So creative! 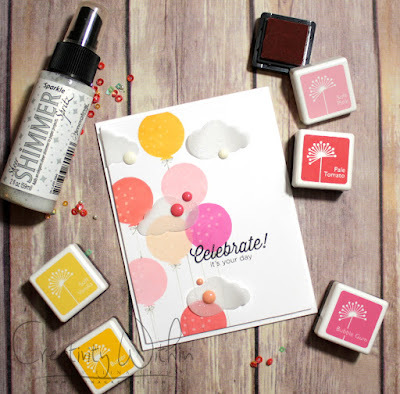 Love these cards and shakers!! You and your kids have been very busy, i love all of your work! So many fabulous cards but I love the wine glasses behind the vellum. The kit is amazing. Fun cards. Love the ornament shaker as a gift topper. Love the black and gold card, perfect! Great idea with the glasses and champagne bottle as a background! I look forward to watching the videos. I like the mix of foil and white & black. What a wonderful post...so full of ideas and talent! First, wow, so many fabulous projects you shared today! I love the hat shaker... tiny and perfect! 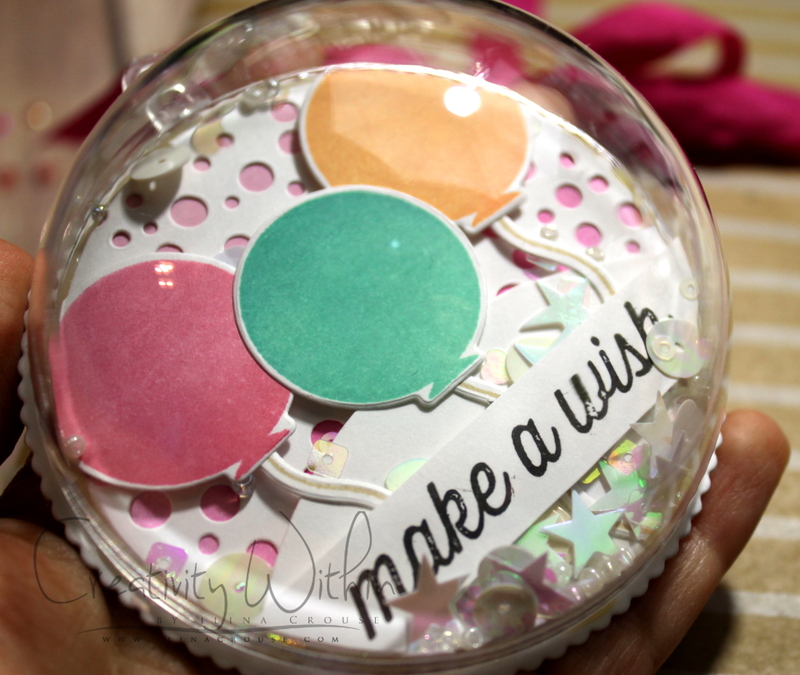 I also really like the gift toppers... the 3D ones... how clever!!! Thanks for sharing! Wow! You really created several nice and unique pieces using this kit! Loved how you used the kit! The birthday cards are perfect for kids!! Looks like we are all WOWed, by all of your creations! Great ideas! favorite. I always love cards using vellum. Oh my Ilina, you made so many beautiful cards and ornaments. All are so lovely! You're making me want to get everything you used! Thanks so much for giving me lots of ideas, too! Wow there is enough inspiration here to last until next New Year's. Wow! So many ideas! 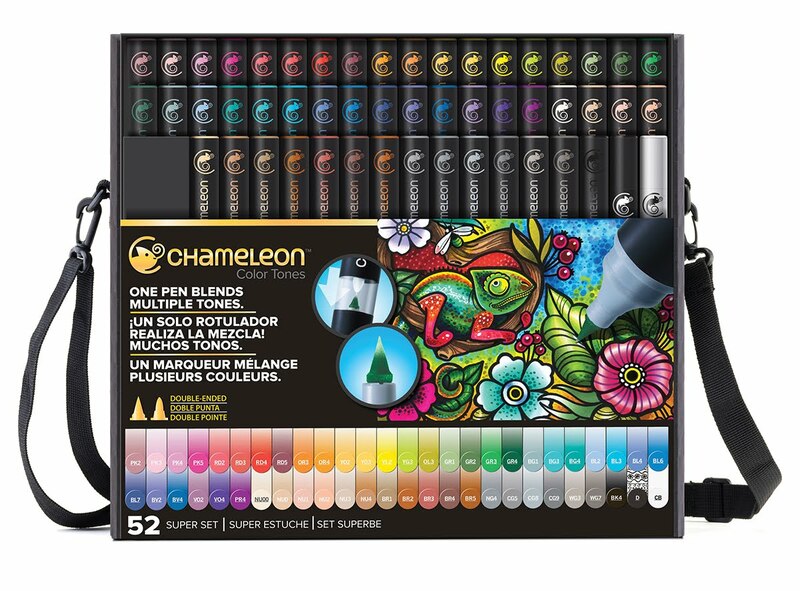 So many projects you can do with this new kit! Thanks for sharing! I really liked your ornaments. I have never seen them done like that before. Super cute and your birthday cards are great. So many ideas. Thanks for sharing. All of your projects are awesome! Wow you did a lot with this kit. Thanks for sharing all of your ideas! Your projects all came out great! Your videos are fantastic - I only wish I could download them. Received errors on all of them when I tried. :-( Great cards though and great tips as well. Great ornaments. The cheer one would be great for the tree, adding a year to it. Making a collection each year. Nice. 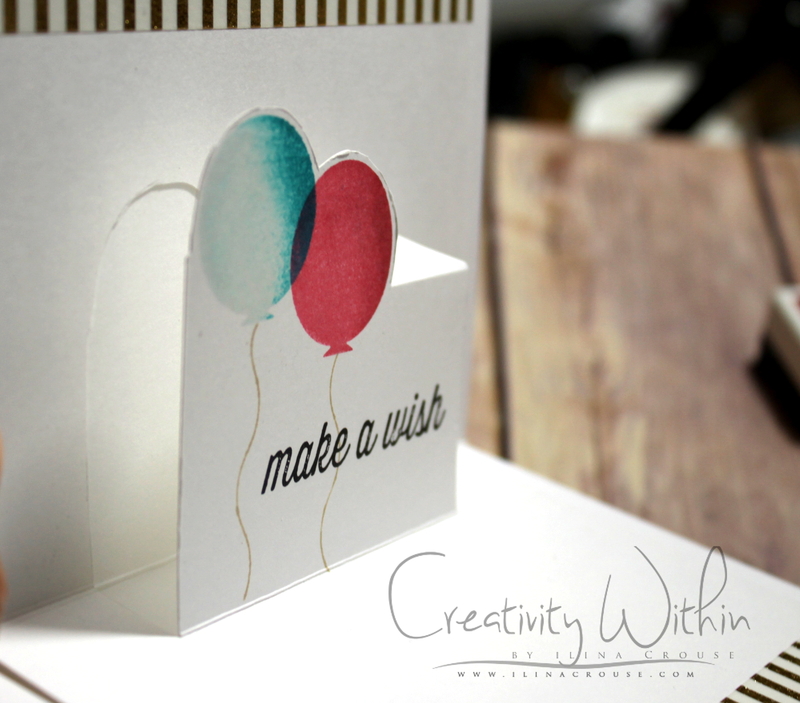 Great variety of fun and elegant projects! Wow! What a wonderful variety of projects! Love all of them!! Oh gosh so many wonderful creations!!! Love the gift toppers!!! Nice cards, and the gift topper are great! 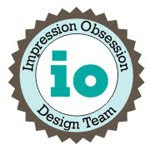 Thanks for the great video tutorials for your fun projects. Great job! Awesome projects! 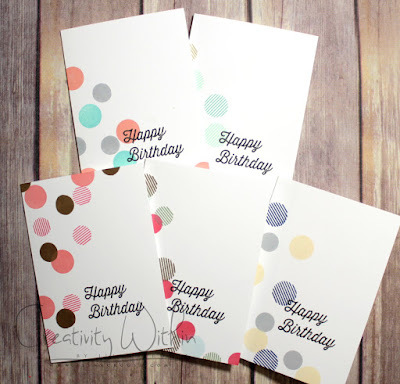 I love the simple circle cards! Those projects are all so fun! I love the different creations that you did with the kit. Thank you for sharing! amazing ideas! great great great! Wow!!! I don't even know where to begin, all your projects are over the top, fabulous!! Amazing projects!! Thanks so much for sharing all these beautiful designs! 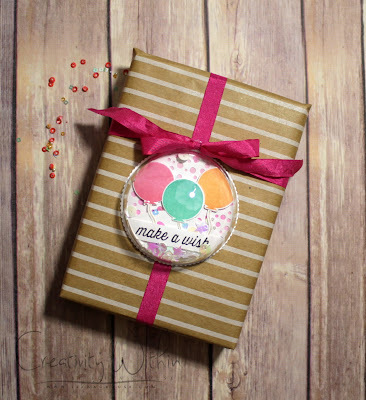 The gift toppers are just AWESOME! Awesome cards! 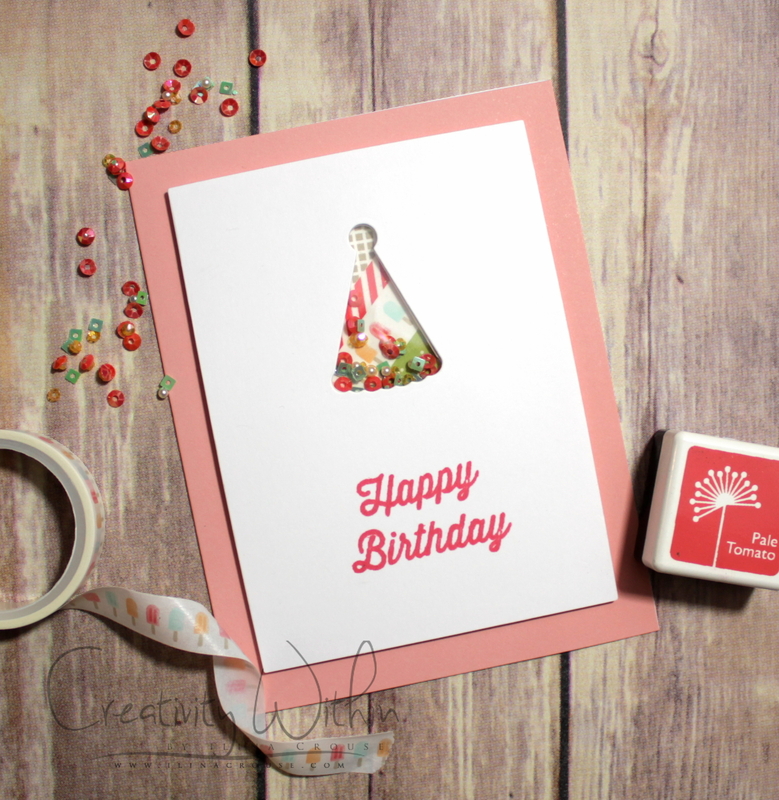 Love that cute party hat shaker! And the 3D gift toppers are amazing! Wow love all the things you made! So much fun to be had with this kit it's no wonder! Thank You for sharing everything and for a chance at winning an awesome kit! The gold foiling is perfect! Can't wait for the video! Great projects!! Thanks for all the ideas!